A man who died after he was found with life-threatening injuries has been named by police. Lance Martin, 24, was discovered in St Thomas Road in the Normanton area of Derby, on Thursday, and later died in hospital. 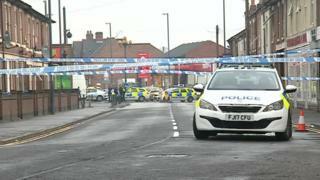 Three men and two women have been held on suspicion of murder and remain in police custody. It is unclear how Mr Martin was killed. The force has appealed for possible CCTV footage from the area.